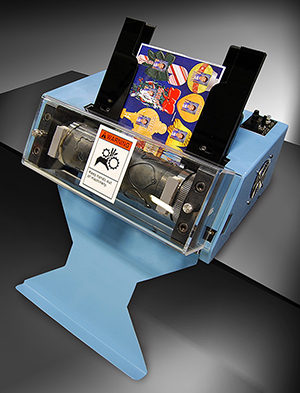 Our exclusive photo cutting machine is designed for sheet-fed die cutting up to 9 x 11 inches. 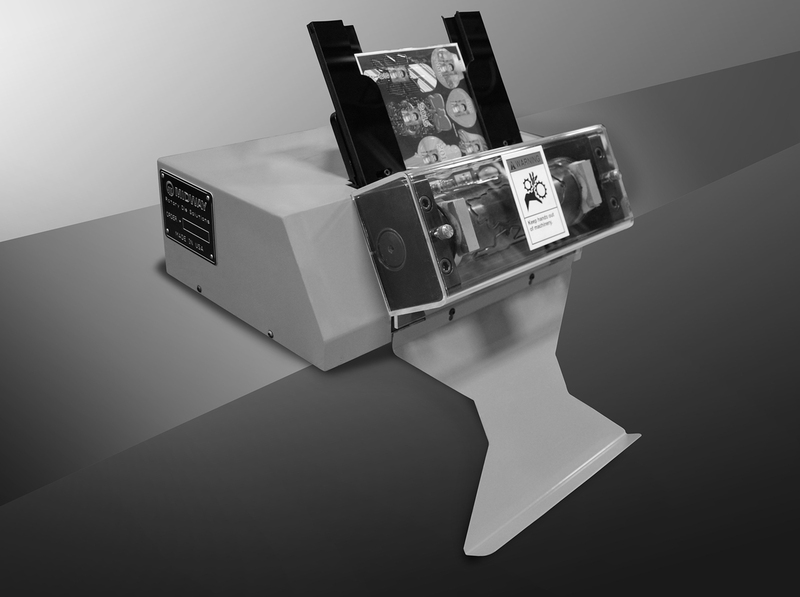 This self-contained unit incorporates a fully-hardened tool steel rotary die. 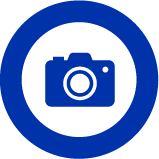 Typical uses include business cards, product prototypes, photos, sports cards, and photographic "Fun Packs." User-friendly controls, foot pedal operation, and 110-volt plug in make this cutter the easiest system on the market to operate. With a small footprint, the cutter can be mounted on a rolling cart and brought to the worksite, or used on a tabletop. Industrial grade components and the use of steel throughout assure long, trouble free operation. Midway guarantees comprehensive trouble shooting of the entire system without the hassle of dealing with additional component suppliers.